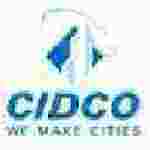 Maharashtra CIDCO recruitment 2016 notification field worker post apply online for 200 jobs : City and Industrial Development Corporate Of Maharashtra Limited (CIDCO) welcomes applications for the designation of 200 Assistant Engineer and Field Officer Jobs.Candidates who completed their degree in engineering/Deploma/B.Arch is a good opportunity.The individuals who are the occupation seekers searching for govt employments in Maharashtra 2016 this is the best chance to apply. Competitors read the official notification then read all the guidelines and miners precisely then apply before the last date online application got. Educational Qualification for the Job: Degree in engineering, Diploma, degree, B.Arch. Acedemics qualification details: Candidates must possess degree in civil engineering / construction management from a recognized university or diploma holder who have passed associated member of institute of engineers examination (AMIE) will be considered equivalent to a person holding the qualification of BE (Civil) from a recognized university. Candidates Age Limit: The age of the candidate must not be less than 18 years and must not exceed 38 years. Acedemics qualification details: Candidates should have full degree or equivalent government diploma in architecture – B.Arch. / GD Arch. From recognized university. Details of Fee particulars: Candidates are required to pay application fee Rs 1000/- for open category candidates and Rs 500/- for schedule caste category candidates / schedule tribe category candidates and other backward class category candidates. The payment can be made by using only debits card / internet banking / IMPS / cash cards / mobile wallets – Vodafone MPESA, Airtel money / Oxicash / Mobiwikpaycash. Process applying for the job: Aspirants can apply online through official website of City and Industrial Development Corporate Of Maharashtra Limited (CIDCO) from 17th June 2016 to 1st July 2016. Note : Here we are giving purpose of interest that are gather from online web look for. so who are the Job seekers looking for Jobs they can simply check the official webpage about the cost, online application, informational capacity, last date. Jobwalker.com is not responsible for any future changes.